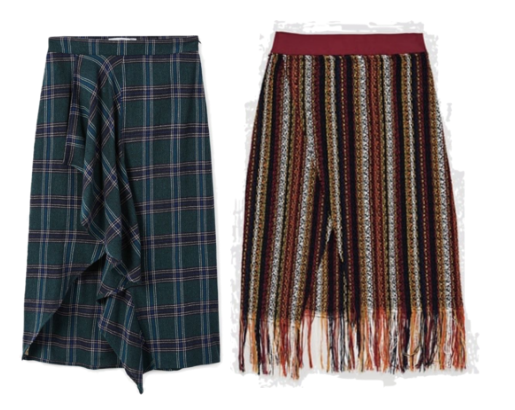 Fashion Friday: All the Tweed You'll Ever Need! — Stay Cool, Mom. My man is in London this weekend for a wedding and I think mom needs a TGIF English ale and some curry fries. I keep hearing about 60 degree weather and picturing cool British peeps in loafers and tweed going about their daily "shedules." I don't want to sound ungrateful, Chicago, but I'm ready for tweed weather. I think my Irish essence is in need of a little cold and gloomy. Sun! Stop shining so much! My sedentary soul is SICK of feeling guilty about walks-not-taken, street festivals-avoided, etc. 1. Zara's Retro Fiction collection. And I'm finding the finds! yet starting to realize that none of the finds are technically "tweed" (more on this here), they just look like tweed, but who cares about the whole point of the post or anything! For STYLING, I'm looking at Miroslava Duma at ALL the Fashion Weeks (and ALL the other times too). Check out how she styles it. 1. The FULL ON POWER SUIT. Blazer with trousers, skirt, or dress. Call me crazy mom, but I think I want to try this!! 3. The high-waisted midi skirt. This pic is from way back! But I think it's still good! Is this tweed or just plaid? That purse is in every shot! It's Gabriela Hearst and it's got a waitlist. Add monocle, Dickens, and a stovepipe as needed. There you have it. 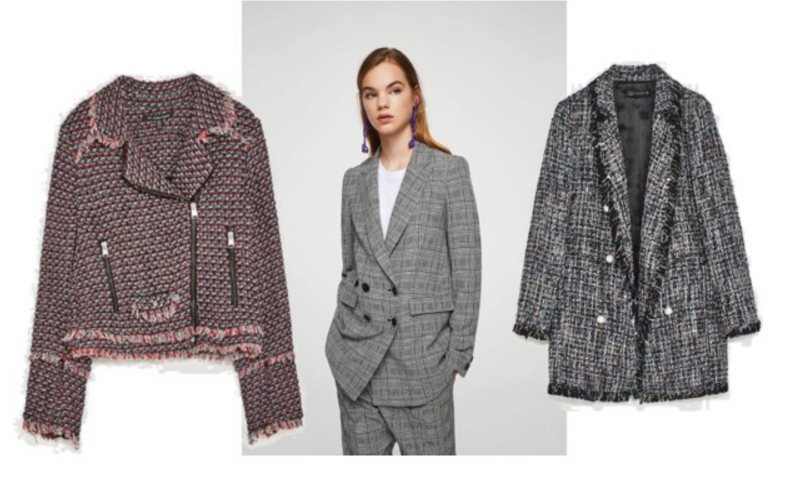 All the tweed you'll ever need... bought to you by fast fashion and Miroslava Duma, who, by the way, wants you to buy the eco-friendly version of all of this. But MD! We're busy moms and that designer power suit'll cost us a week's pay! So, let's trash the environment but look smart about it!! I'm off to a friend's wedding and so excited to hang with my girls! Have a relaxing weekend! Stay cool!